Recruitment Management is the primary function performed by human resource management of any school or college. This process refers to the entire process to be followed for selecting the right candidate for the job in an institution in less time. With the help of Advanta Rapid Staff Recruitment Management Software System, recruitment can easily and successfully be processed. This module offers a wide range of features like broadcasting about a vacancy in the school, stores information, shortlisting candidates, etc. Recruitment Management is the process to hire the best manpower for any school or institution to reach new scale or heights. This module will help HR departments to recruit suitable candidate in the least possible time period. This system offers a range of features to help managers and avoid hassles and saves huge money that is being paid to consultancies. This module saves valuable time and effort also pre-screen the candidates and shortlist them. With the help of this module, it makes easier to recruit a suitable candidate for the particular job position. This module helps to maintain and track staff Recruitment process, right from Recruitment advertisement till final selection. Advanta Rapid ERP school management system, college management software, and institute management software come with a good Staff Recruitment Management Software System module. It is a fast and effective solution to recruit right candidate for the suitable job position. 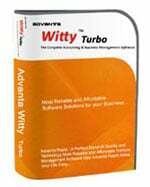 This software is easy to use and user-friendly interface. You can post job vacancies according to the need of institution along with specified date and status. You can store all the information for all the people who have given the interview and also you can enter the marks on that basis you can shortlist the candidate and all is done in a single window. Advanta Rapid software has the facility to recruit best man power and it is user-friendly software. You can easily maintain job vacancy for the particular post that your institution needs. Easily maintenance of records for the candidates who have come for the interview. In a single window of recruitment in Advanta Rapid, you can select and reject the candidates on the basis of their performance in interview and test. This software reduces the cost of hiring candidates that are being outsourced. 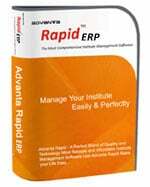 Advanta Rapid software requires minimal training to enter data. Step 2: Advertise vacancies either on the school website, newspaper, etc. Need more information on Staff Recruitment Management Software System? Contact us for a free demonstration of Staff Recruitment Management Software System.